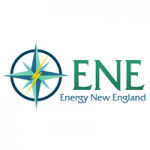 Danvers Electric has partnered with Energy New England to offer Danvers Drives Electric, an outreach program to inform the electric utility customer about the savings and benefits that come from choosing an electric car and charging it at home overnight. Interested in learning about incentives to buy or lease your first electric car, or already drive one and want to get future updates on charging incentives? Sign up here. Danvers Electric offers a rebate on the purchase of an AC Level 2 charging station (single or dual port). Danvers Electric will provide one-time, one per household $300 rebate on an eligible Level 2 EV home charging station. Eligible EV chargers must be UL listed, ENERGY STAR certified, and have Level 2 charging capabilities. Click here to access Plug-in Electric Vehicle Charger Rebate Program Guidelines (Section 2.5).